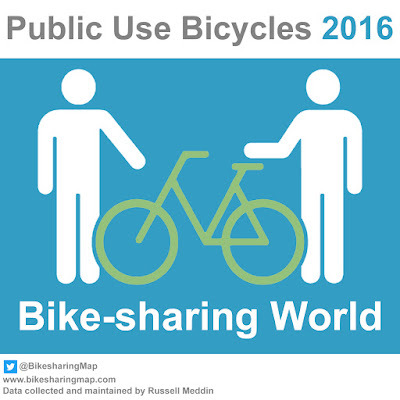 Keep in touch with The Bike-sharing World with The Bike-sharing World Map. It is the premiere resource for information on cities with automated - information technology bicycle programs for public use. 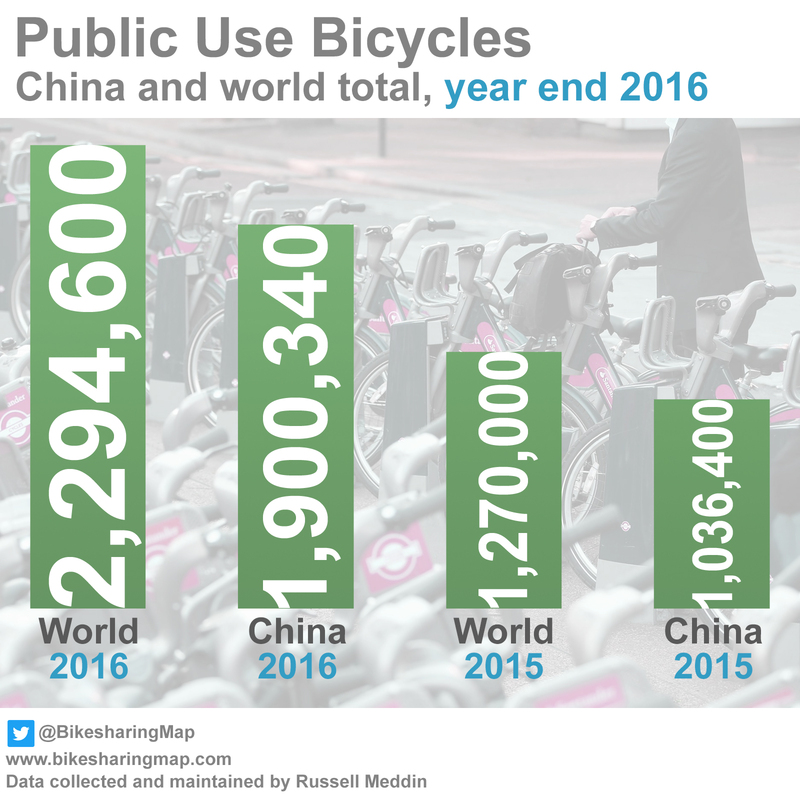 It is a complement to The Bike-sharing Blog. 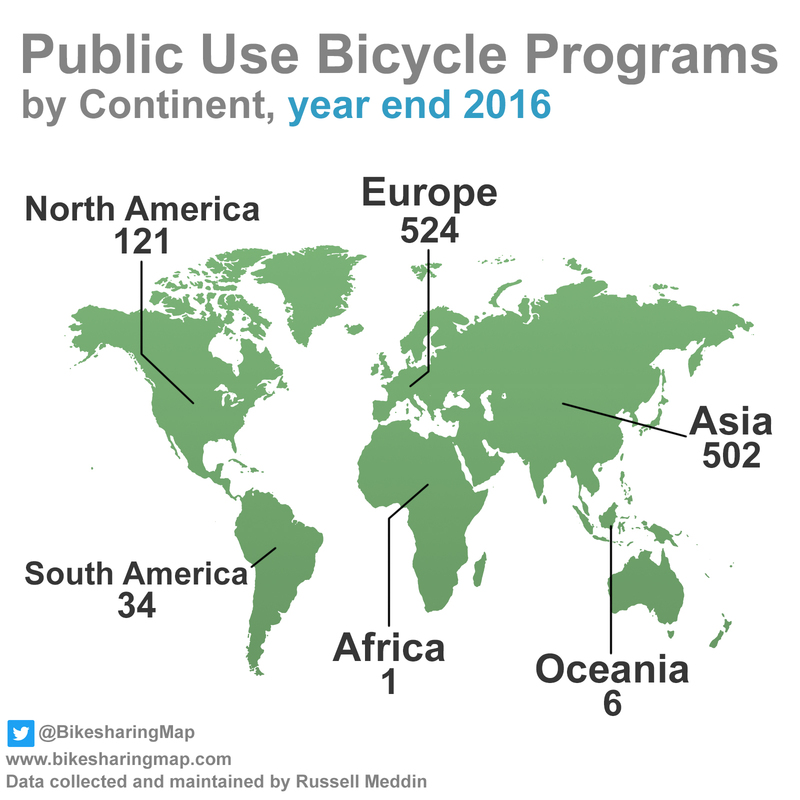 The map can be viewed at www.bikesharingmap.com. 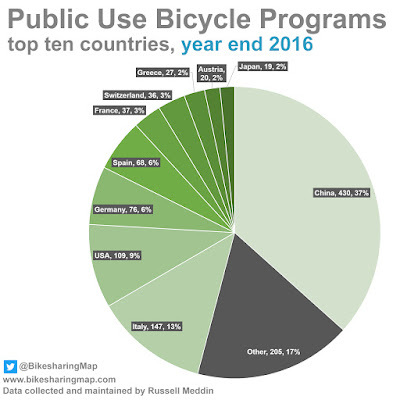 The Bike-sharing Blog yearly wrap-up of the state of the Bike-sharing World will appear at the end of January. 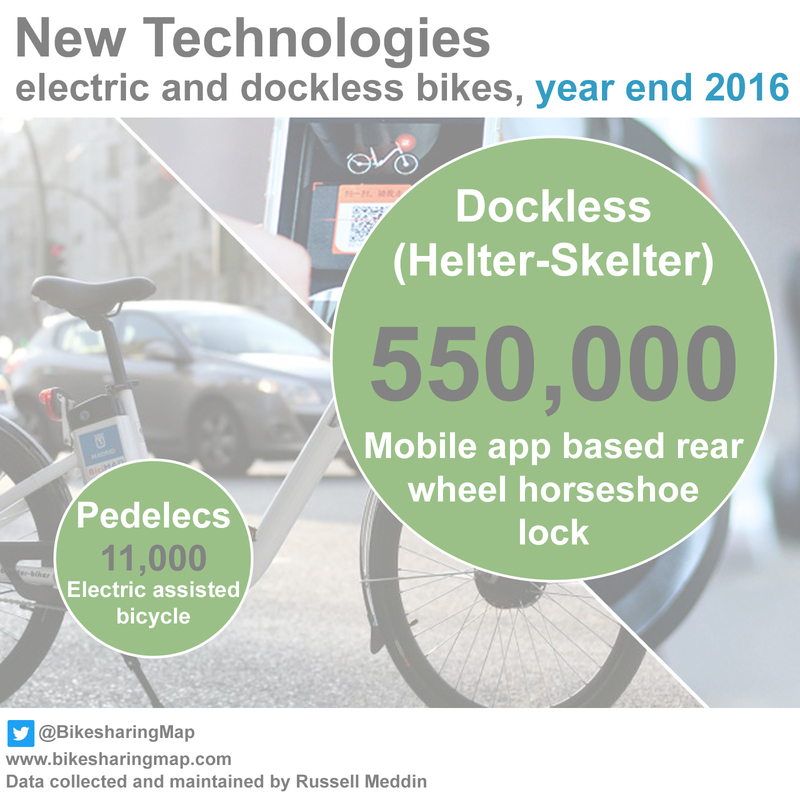 Please take a look at the Dock-it 2015 for comparison. 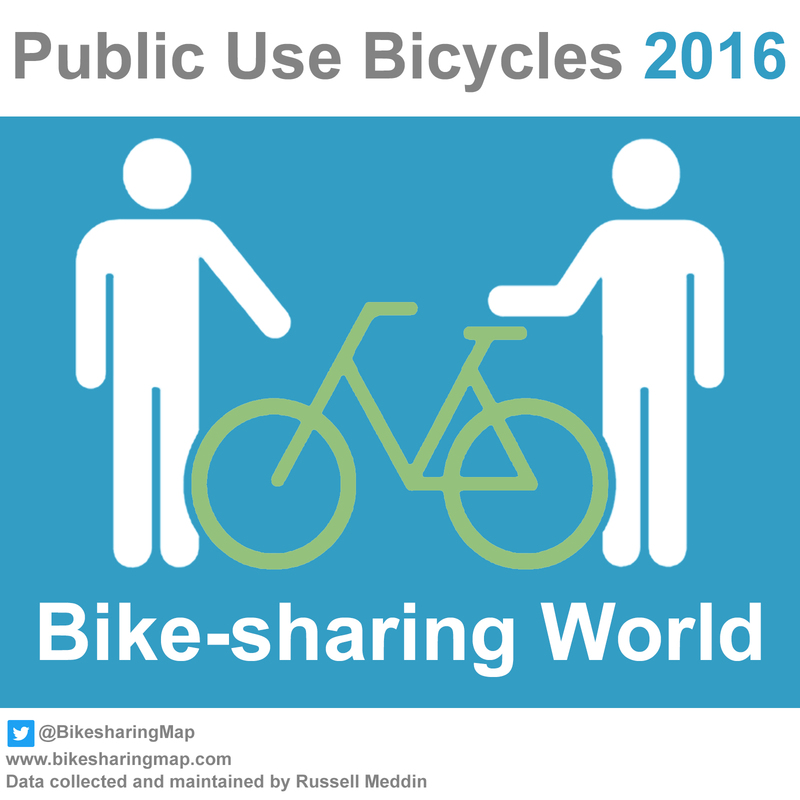 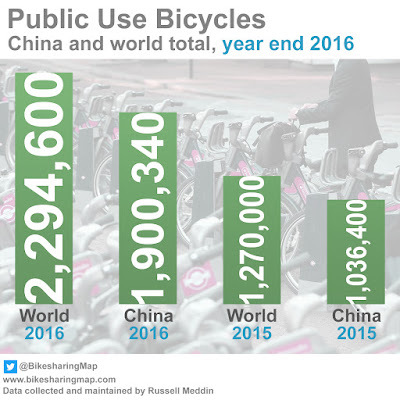 A quick prevue: 2016 ended with a world-wide fleet of approximately 2,000,000 public use bicycles in automated and/or information technology controlled systems in approximately 1,175 cities, municipalities or district jurisdictions in 63 countries.